Get out your pitchforks rotary faithful! Its time to talk about the soulless motor that will be ruining this beautiful RX-7. 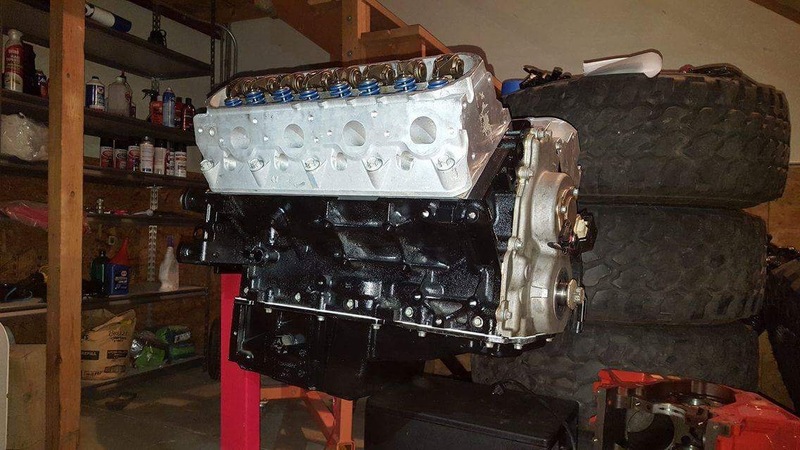 Namely the General Motors LS3 that will be the heart of my beast. 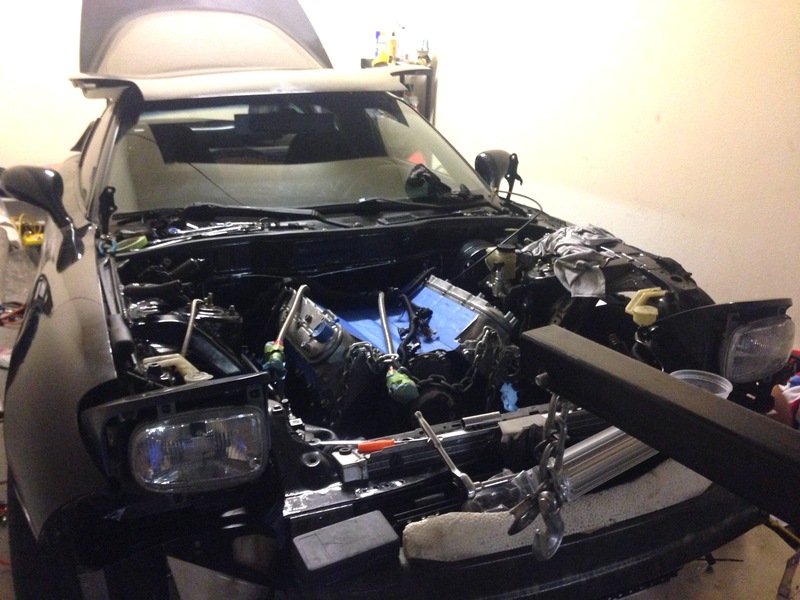 While my car had already come swapped, it came with a 5.3L iron block motor with two turbochargers on it. While I like pedal mashing like everyone else, what I truly crave are corners. With this in mind, I decided to sell off the turbo bits and build up an LS3 motor instead. I am far from a professional driver. My goal with this project is to have the car progress with me. To do this, I decided to have my engine builder focus on reliability in extreme settings (ie track) rather than trying to go for max power out of the gate. My thought process in this is that I would upgrade the car once my skill had reached its potential. Having taken my lightly modified IS300 to the track for a couple HPDE’s, I realized that I have a good ways to go before needing more power will be an issue. With the higher end of 300 horses available to me in the LS3, I should be good for a while in a sub-3000 pound car. When I originally met with Andy, my engine builder, we had discussed my strategy. One of the weak points of the LSX motor is its oiling. It can either pool in the heads during a high-g turn or it gets excess oil around the crank. Both of which can lead to oil starvation which is a big no-no for the health of your motor. The first part of my solution for this resides within the motor itself. To improve the rate at which oil is circulated throughout the motor, we went with a Melling high-flow oil pump. Andy drilled out the lifter trays to help the oil drain back into the oil pan. Finally, I went with Improved Racing’s combo crank scraper and windage tray. This combination contours to the crank to help pull excess oil off of it and feed it back to the pan where it can be recirculated back to the motor. 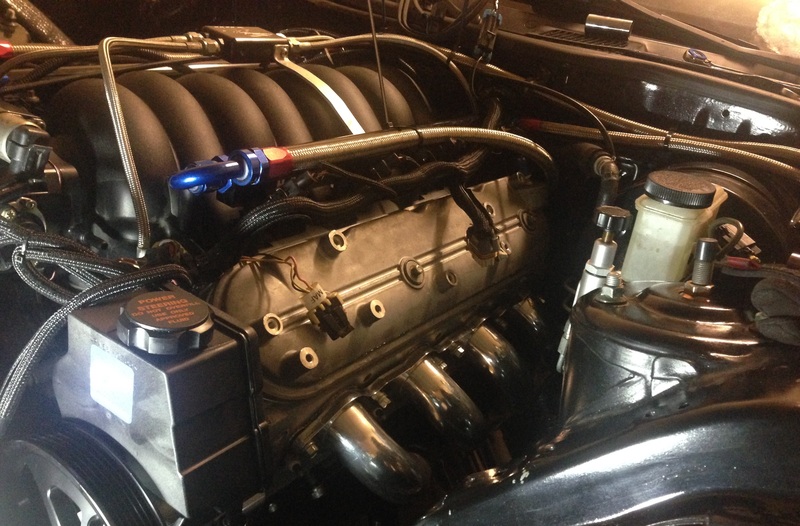 Andy also recommended that I do the usual upgrade of LS7 lifters and upgraded valve springs to help keep things together in the higher RPM ranges. While Andy was busy building the new motor, I set about to removing the old 5.3 from the car. I cannot recommend it enough that you invest in ziplock bags and a sharpie when doing any major work on your car. I did not do this on my last build and probably spent 100 hours trying to find various nuts and bolts to get everything put back together. 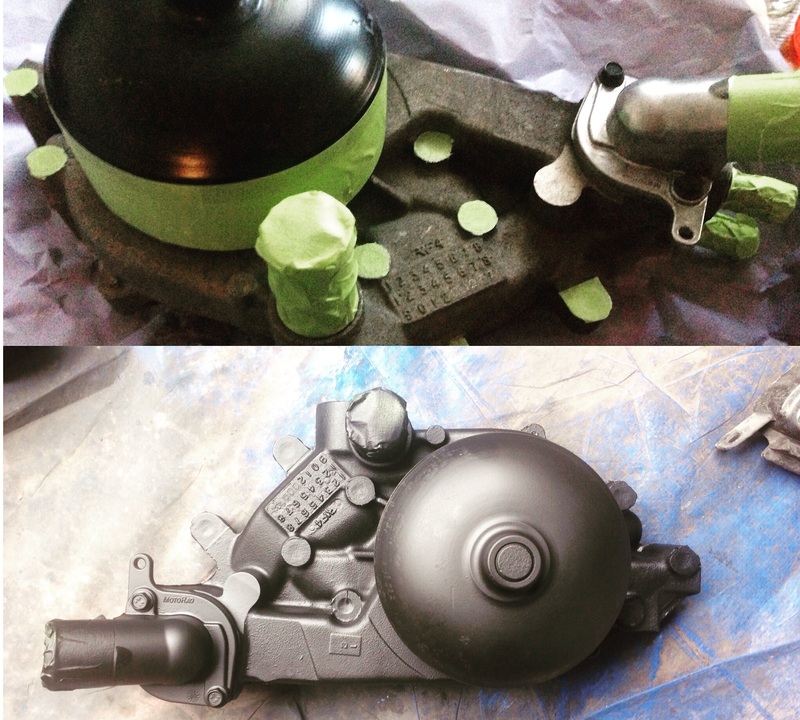 With the holiday season in full swing, time was short for me to get the old motor out of the car. My first task was getting all of the accessories off so that the motor could be pulled. Once I had everything off of the motor, my friend Scott Bass at White Lyte Performance came over to lend a hand. We were able to get the motor unbuttoned and out of the car in almost no time. 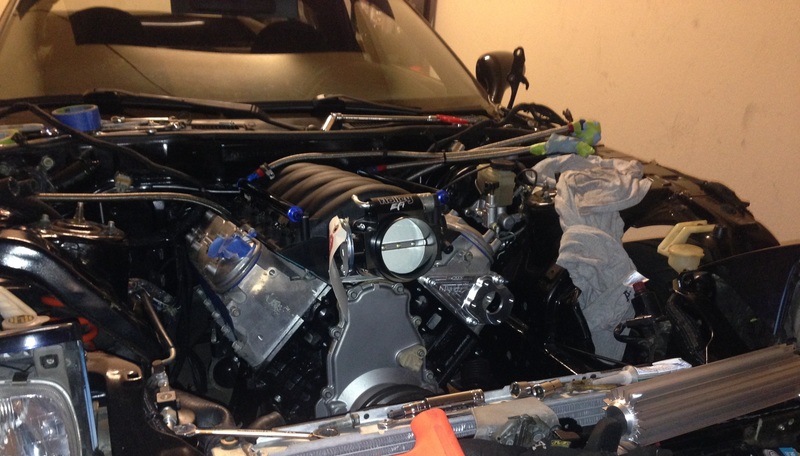 During this whole time, Andy was sending me dirty pictures of the LS3 build. Clean but oh so dirty..
With the engine out of the car, I took the opportunity to clean up the engine bay and prep it for the new motor. I’ve already discussed my ricer tendencies. You will see this as a common theme. Continuing in this tradition, I decided to paint the accessories and brackets black to try to give the engine bay a less cluttered feel. With the motor dropped off, Scott once again offered his services to wedge it into the car. The transplant was a success doc! I decided to switch over to a LS1 accessory layout as there were more swap-based options available. This allowed me to get a swap specific power steering pump from Turn One. The masters at Turn One were able to lower the pressure output of the pump to give a better road feel for the car. The final piece was the exhaust. 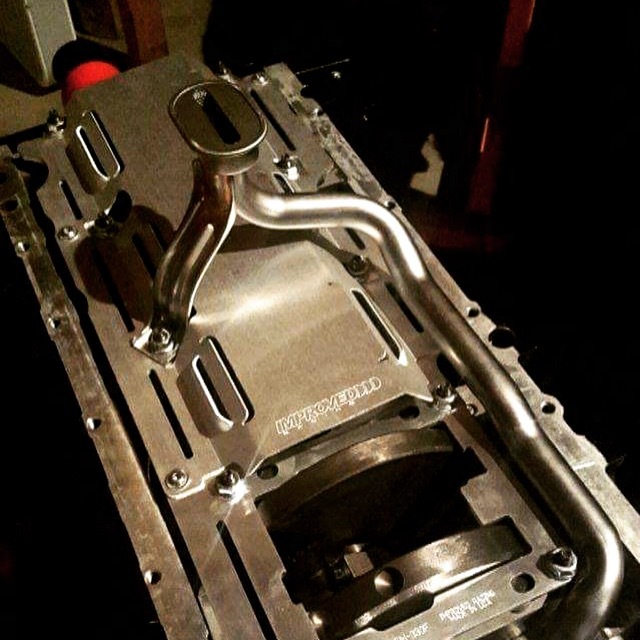 For this, I turned to Jags That Run and ordered a set of ceramic coated long tube headers. Most of the installation was pretty straight forward except for one hand cramp inducing bolt. I am looking at you rear driver side. That dark place back there. That’s where your hand goes to die. During the time that this engine swap was taking place, life threw me a curve ball. An old company I had worked for back in the DC area had reached out and was interested in me taking my old bosses position. It was a chance for me to not only move up but also to move back closer to my friends and family. The hitch in all of this was that I would not be able to completely button the car up before delivering it to the shop doing the body work. I called up the team at DejaVue Autoweks and let them know the situation. Deon, the owner, assured me that they could finish up the last few bits mechanically. So, while I would be moving back East, the ol girl would be staying in Arizona a bit longer to get her beauty treatment.